Caffe Cagliari have recently launched Nespresso compatible capsules in the UK, combining over 100 years of coffee expertise with the latest coffee technology. When they asked what my 'perfect coffee moment' was, I knew it would be tricky to decide. I love 'a coffee and catch up' with friends (show me a speech and language therapist who doesn't like talking -it's in my job description). I also enjoy coffee as a 'time out'. I recently went on a parenting course and one of the first tips the trainer spoke about was being aware of your stress levels. She said it was really hard to parent effectively if you were feeling stressed - you are we more likely to shout etc. at the kids. The trainer suggested having a few minutes time out for yourself when you feel like you are starting to get stressed. I find making a coffee an effective time out and it stops me snapping at the kids. Another coffee fav is having a coffee and craft session (either by myself or with the kids). 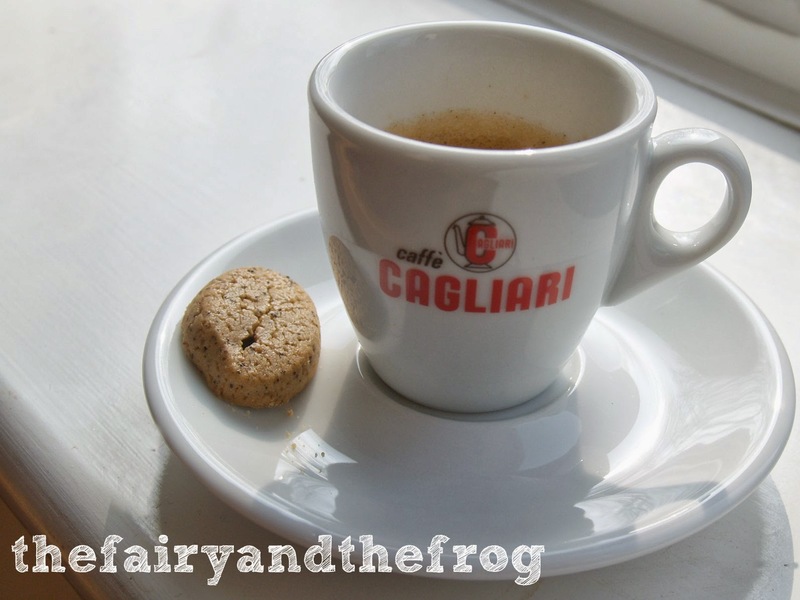 I was totally inspired to craft when I saw the shape of the Nespresso compatible capsules Caffe Cagliari comes in. It looks just like a plant pot. 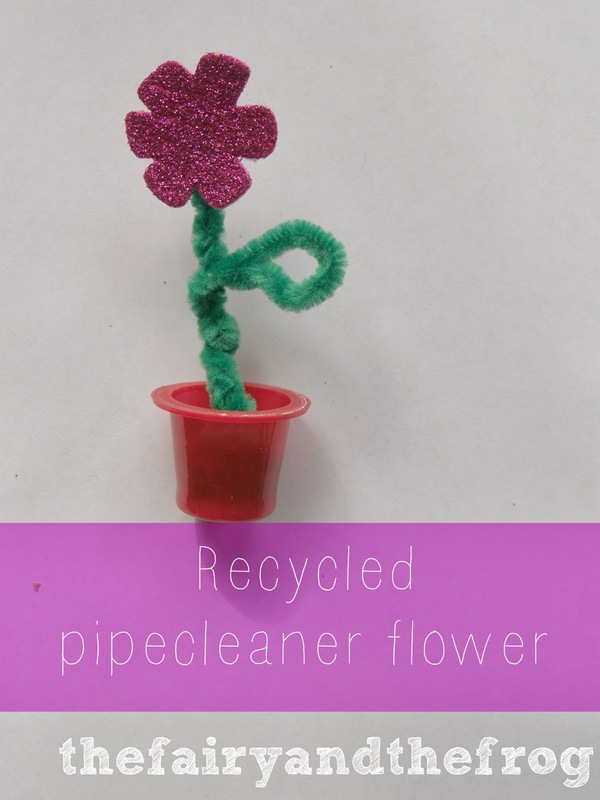 So I set about making a really easy recycled flower. I think this would make a cute child made Mother's Day gift or end of term thank you for a teacher. The best bit is it's really easy. 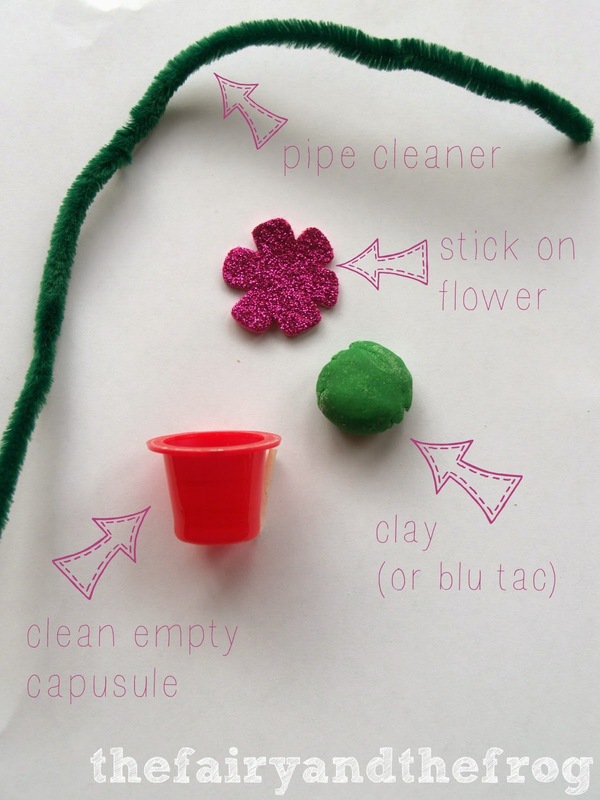 Simply bend the pipecleaner, stick it in a cleaned out empty capsule and add the flower. For ease we used foam flowers that were already sticky. 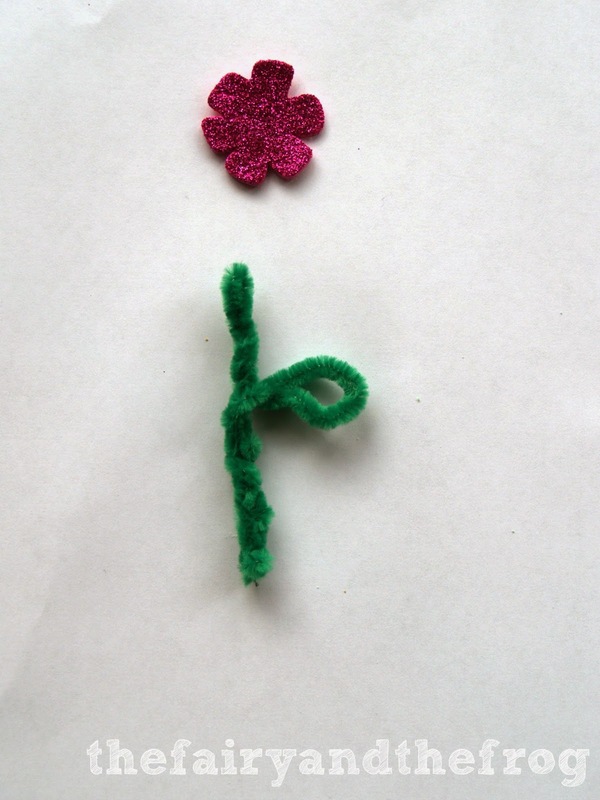 If you wanted to get extra creative you could make a flower from card or craft foam. What would be your perfect coffee moment? You might of already heard of Team Honk, a group of UK bloggers raising funds for and awareness of Sports Relief. Team Honk is spear headed by three amazing bloggers who have just been on a trip to Tanzania. To celebrate International Women's Day #iwd2014, Tanya, Annie and Penny have been finding out how donations to Sport Relief last year have created female entrepreneurs and #lastingchange for women, their families and communities and beyond - rippling out #lastingchange in Africa. They have sent some digital post cards to us back home. Here's mine . It shows a lady called Joyce. Through mentoring and training the Gatsby Trust have helped Joyce expand her poultry business from just a few chicks to now having 300. She has also now built an extension to house another 400 which should be arriving next week. The training that Joyce has received has enabled her to make her own feed, thereby saving her money, and also to ensure the feed is healthy. It has also taught her to recognise signs of disease in her chicks to such an extend that she now has a completely healthy clutch. Other poultry keepers in her area now phone her for advice and training. The network of women is now in a much more powerful position to broker deals to sell to supermarkets as they can promise supply, which Joyce couldn’t do on her own. Joyce is supporting her family and is able to pay for her son to attend a boarding school. Story sacks (or story bags) are a great way to bring stories to life and hold a child's concentration as they listen to a story. They are basically a collection of props to help you tell your story. 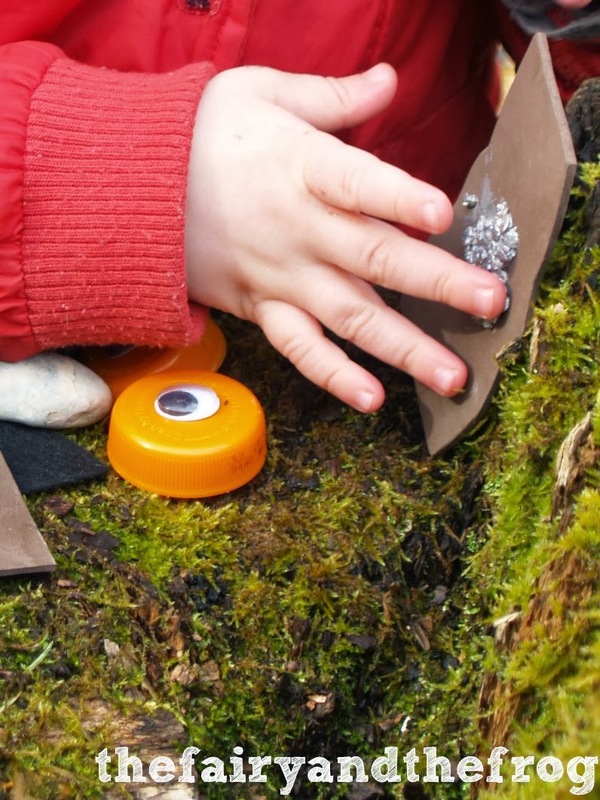 They have the added bonus that the child can play with the items afterwards and retell the story. 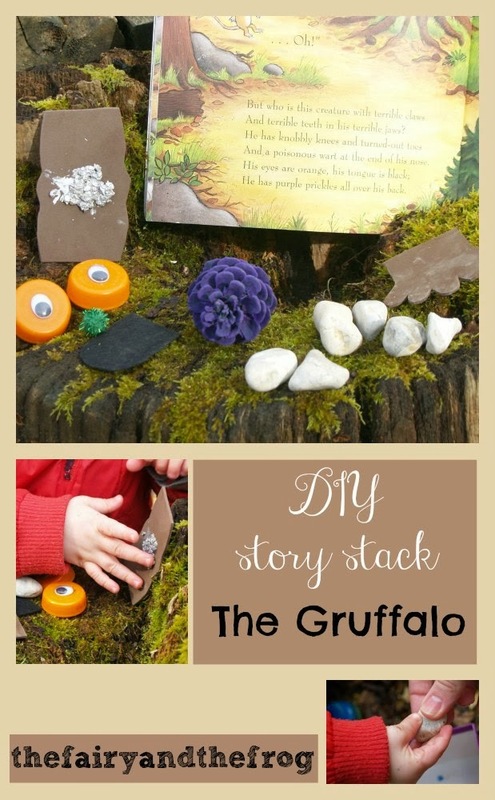 This story sack is based on the Gruffalo, a firm favourite in many houses and preschools! 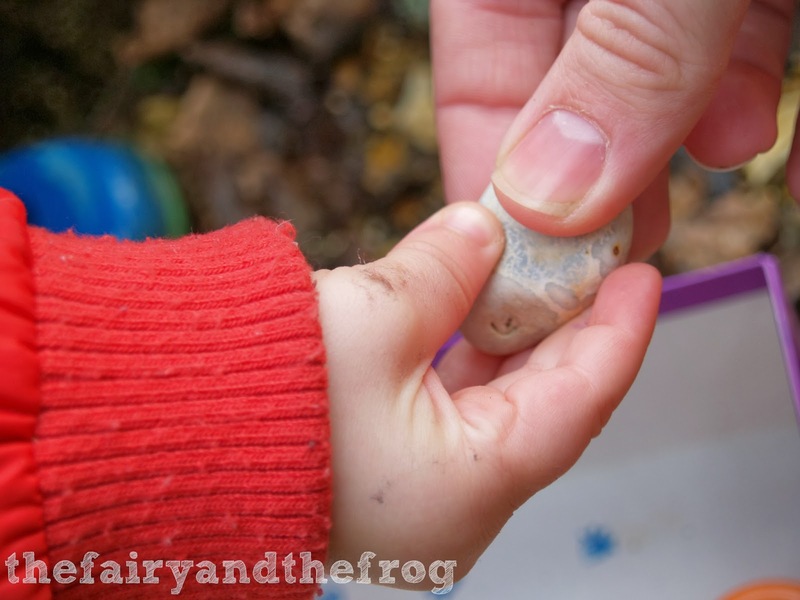 As well as having visual element we really wanted this story sack be extra sensory and to be tactile. 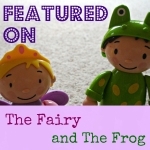 The Fairy helped make the parts of the story bag. Purple prickles were made by painting this pine cone purple. 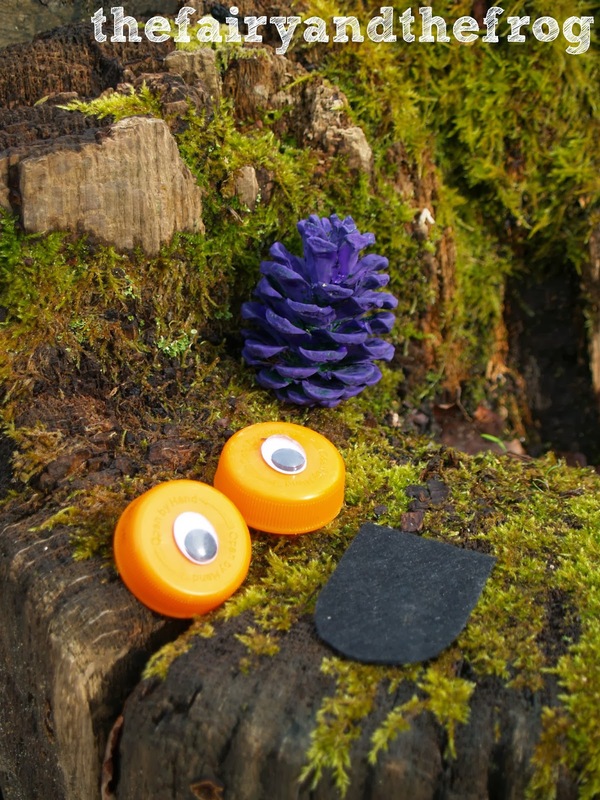 Orange eyes from bottle tops and 'googley eyes'. The tongue is piece of black felt. Terrible tusks, teeth and claws were all pieces of stone chosen for their appropriate size and shape. 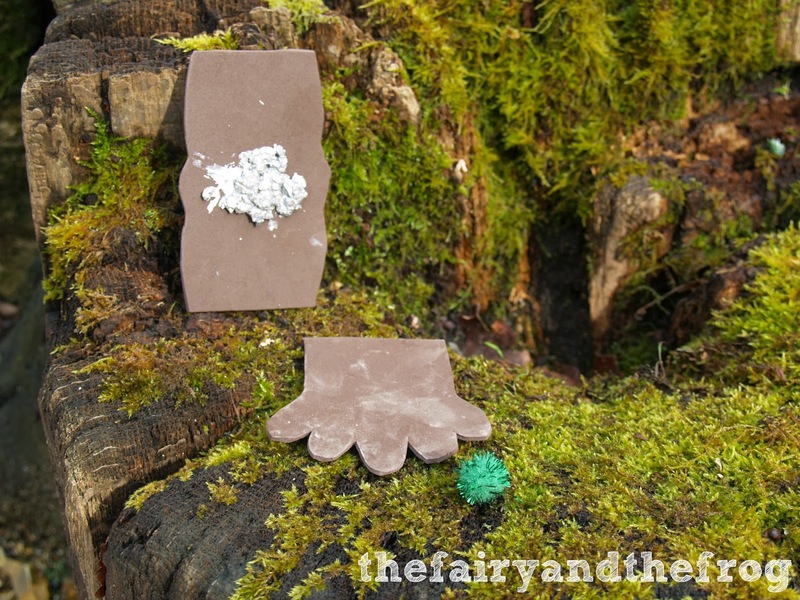 Knobbly knees and turned out toes were pieces of brown craft foam. 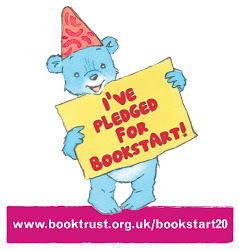 The knees had 'added knobble' by mixing porridge and silver paint. 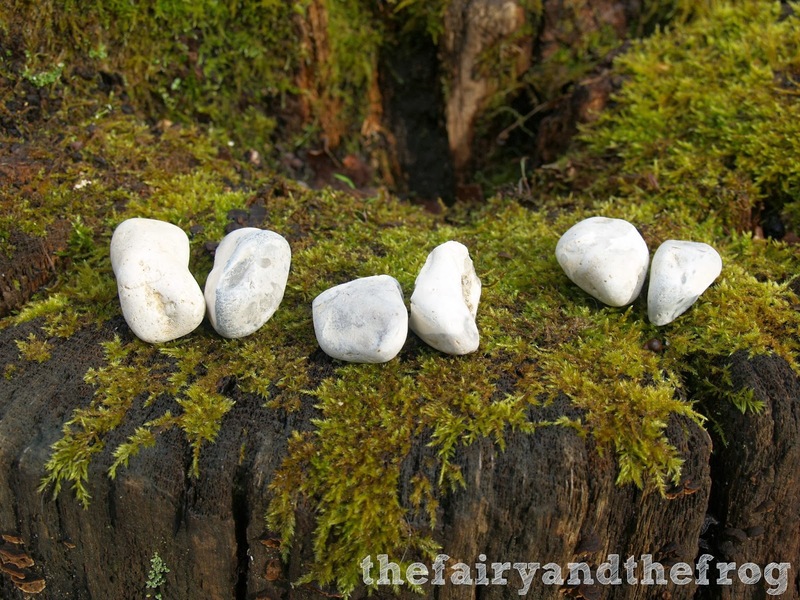 Once you've made a story sack the best thing to do it to take it to a deep dark wood and tell a story. 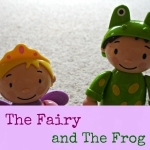 If you like this story sack you might also like our Owl babies story sack and our Nativity story sack.